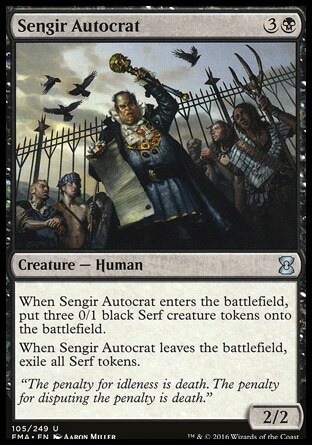 When Sengir Autocrat enters the battlefield, create three 0/1 black Serf creature tokens. "The penalty for idleness is death. The penalty for disputing the penalty is death."